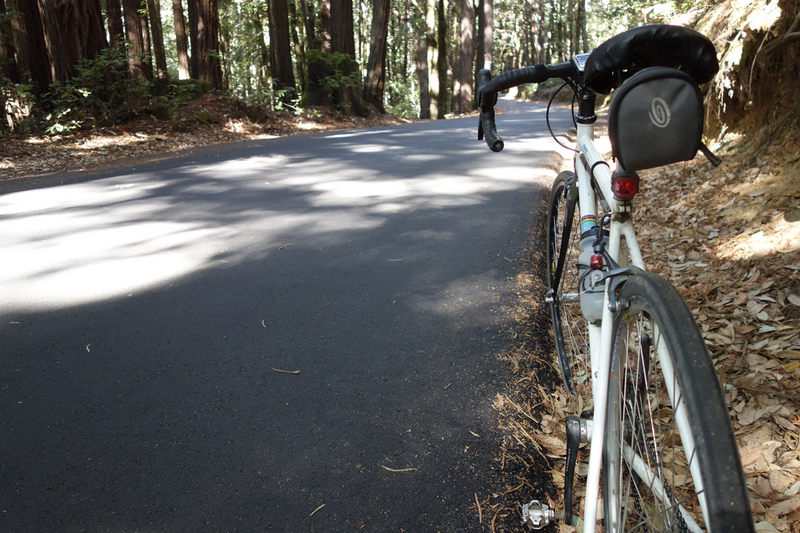 The length of Hwy 236 from Hwy 9 into Big Basin park has been repaved. If riding Hwy 236 between Hwy 9 and Big Basin State Park wasn’t fun enough, since the recent repaving it’s ludicrously enjoyable. The state highway is narrow and has light traffic (except on some weekends) with so many twists and turns that you might feel like you’re on a roller coaster. It has always been a blast to ride, but the new pavement turns it into a sublime experience, like enjoying a fine bottle of champagne. They still have the last half-mile into the park and striping to do. I wonder if they’ll oil and gravel as well? I hope not. This is the first time in my 40 years living here that Hwy 236 has been repaved all at one time. This entry was posted on October 1, 2016 at 2:19 pm and is filed under Ride reports. You can follow any responses to this entry through the RSS 2.0 feed. You can leave a response, or trackback from your own site.